The clock is ticking down to the implementation of e-tolls and Cosatu is raising the stakes. Highways will be blocked in Johannesburg on Friday and a stay-away is planned for June. E-toll-bashing is almost a national pastime, but so far the outrage has failed to translate into action. Cosatu’s trying to change that and show government it’s not about to give up the fight. By GREG NICOLSON. The diversity of characters in the Cosatu boardroom could have made a good joke. Cosatu provincial secretary Dumisane Dakile was flanked by a Catholic priest, a handful of bikers, a taxi association leader, a member of Treatment Action Campaign (TAC), and a leader from the National Association of School Governing Bodies. The talk, however, was of struggle. They summoned the spirit of past challenges to the state and said they’re prepared to fight for as long as necessary. Civil society and religious leaders joined the federation of trade unions on Wednesday to announce a series of demonstrations against e-tolling in Gauteng. 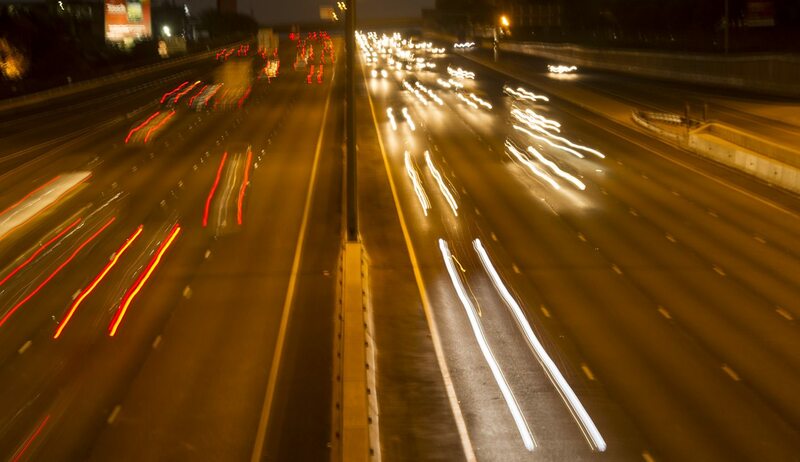 The broad coalition will block Johannesburg’s highways on Friday and is committed to a rolling campaign of civil disobedience until the government scraps the controversial funding model. Cosatu members won’t be on strike on Friday but the labour movement encouraged anyone available to join the convoy of demonstrators. Vehicles will gather at Cosatu House in Braamfontein and take the M1 North until Olifantsfontein where they will take the M1 South to the Nasrec interchange before joining the N12. They will take M2 North before returning to the M1 and back to Braamfontein. Traffic on the route will be forced to drive slowly but a lane will be available for emergency vehicles. It’s likely to last all day. On 10 June Cosatu is planning a massive stay-away and march in Joburg. “I do apologise [to road users] but we’re doing it for you as a whole,” said Shaun Pfister, one of the leather-clad members of Bikers Against Tolls. “We’re doing it for the people on the street and the everyday driver.” The biker group recently held a ride against e-tolls that drew 2,000 members. “We could ride on those roads everyday to make chaos… Unity is strength. So the strength of the nation is here and we’re saying we’re going to stop e-tolls,” said Pfister. Representing the Catholic Church, which released a statement announcing its opposition to e-tolls this week, was Father Mike Deeb. “We haven’t taken this lightly at all,” he told journalists. “We hoped the government would listen to the many reasonable arguments for why this should be scrapped.” The Catholic Church researched the tolling system and believes it will negatively affect the poor, the costs are unjustified, and corruption may have taken place. Strike Tshabalala from the TAC in Gauteng said the health rights organisation is in an “unconditional” partnership with Cosatu and supports its demonstration. The TAC can summon 5,000 protestors to fight e-tolls, said Tshabalala. Tolls will hurt the province’s poorest and add barriers to accessing healthcare services as inflation rises with increases in transport costs. “The poorest of the poor are going to suffer,” he added. Representatives from the taxi industry and National Association of School Governing Bodies agreed. “We support this cause by hook or by crook,” commented the United Taxi Front’s Theo Marele. Taxis are exempt from e-tolls but Marele was skeptical that the government would keep its word. The taxi industry also wants an exemption for the cars used to manage taxi fleets. “We’ll never smell free education in this country [if tolling goes ahead],” said National Association of School Governing Bodies provincial secretary Matakange Matakanga. He is concerned about how cost of living increases might hurt the parents of school children. Notably absent from the coterie on Wednesday was the Opposition to Urban Tolling Alliance (Outa). “Outa is in court. Outa has made a very significant contribution to this matter,” said Dakile. The organisation will continue its fight when it goes to the Supreme Court of Appeals later this year. Cosatu and Outa have been the voices of opposition to e-tolls but as more objectors come into the fold the high levels of public disgruntlement might finally find expression. The issue has caused outrage among road users but that has not translated into public support to challenge the system: Cosatu’s demonstrations have been attended mostly by members of affiliate unions while Outa has struggled in its attempts to crowd source funding for legal costs. Those voices of resistance are increasing. Repeated references on Wednesday to how harmful e-tolls will be to “the poorest of the poor” signal a move to show Gauteng residents they will affect not just car owners. A broad display of resistance could encourage drivers not to buy an e-tag. If that happens on a large scale it could make the system unworkable.